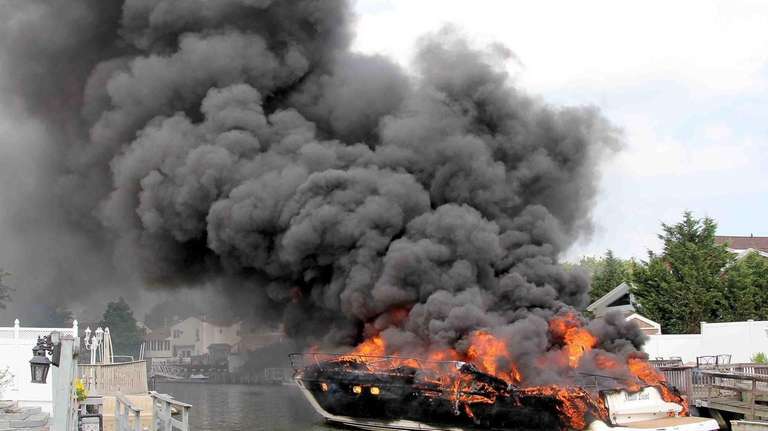 A boat went up in flames Friday afternoon in Oceanside, while docked in the back of an Illona Lane residence, police said. Reports of the fire came in around 2:25 p.m., and the luxury boat, a 2002 Viking, was fully engulfed in flames, Nassau County police said. Oceanside and Island Park fire departments responded to extinguish the fire.